CPR Alum, Luna crossed the Rainbow Bridge earlier this month. From Luna’s mom: She was feisty, loving and extremely loyal. Wherever her people were that is where you would find her. 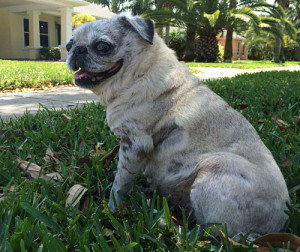 Luna will be greatly missed by her human, pug and feline family.